An Ohio State University student and concealed-carry advocate was found dead from gunshot wounds at a residence near campus early Thursday morning. Columbus, Ohio police officers found Tarak Andrew Underiner unresponsive from a gunshot wound after a shooting was reported at 12:30 a.m., according to the Lantern, Ohio State's newspaper. Underiner, 20, was pronounced dead at the scene at 12:41 a.m. The student was a marketing and Spanish double major at Ohio State, where he was also the treasurer for the campus group Buckeyes for Concealed Carry. The 20-year-old recently testified at the Ohio Statehouse in favor of House Bill 48, which would, among other measures, allow public universities to independently decide whether they want to adopt concealed carry on their campuses. Underiner argued that expanding concealed carry to public college campuses was important for self-defense. 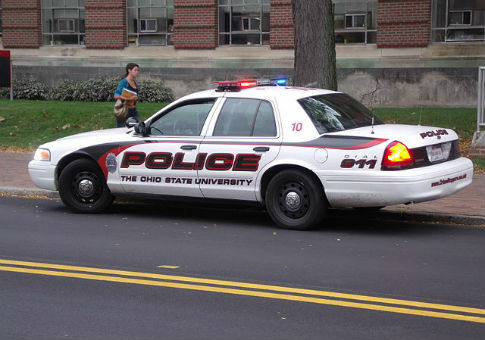 "If you have a late night at the library and … you live in dangerous parts of town, or are out late, being able to have, at least the option to carry a concealed weapon is an important right for Ohio State students," Underiner said on Lantern TV. Michael Newbern, the director of Ohio Students for Concealed Carry, the state-level organization that Buckeyes for Concealed Carry falls under, expressed his condolences in a statement on the group's Facebook page. "I am deeply saddened by the tragedy that occurred last night near The Ohio State University," Newbern wrote. "Tarak Underiner was both a personal friend of mine and a bright young man with a promising future ahead of him. His work as a member of Buckeyes for Concealed Carry on Campus to restore the right to self-defense on Ohio's college campuses put him in an elite class obtained by very few others in our movement." House Bill 48 has been passed, but Ohio State has said it does not plan on implementing the optional provisions. This entry was posted in Issues and tagged Concealed Carry, Guns, Murder, Ohio, University. Bookmark the permalink.